"As county commissioner, my top priority is giving our families a local government that is responsive, efficient, and focused on common sense solutions to the challenges that face our community." Russ Boles is a local business owner and community volunteer. 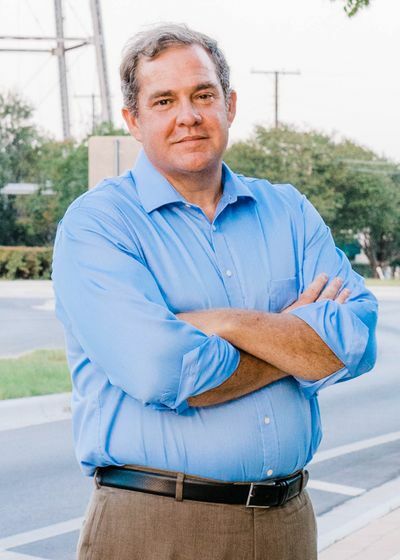 In November 2018, he was elected County Commissioner for Williamson County, Precinct Four, which encompasses the eastern portion of the county, including the communities of Round Rock, Taylor, Hutto, Granger, Coupland, and Thrall. For the past 20 years, Russ has earned a reputation as a trusted leader in the community, founding Round Rock's Relay for Life, serving on Boards of Directors for the YMCAs of Round Rock and Hutto, and mentoring high school students and young professionals through the Chamber of Commerce. Prior to his election as commissioner, Russ was appointed by the Governor as a Director of the Brazos River Authority, a $68 million public entity charged with managing water and wastewater throughout our region. During Russ's oversight, the Authority consistently delivered affordable water rates while also preparing to meet the future water needs of our growing state. Learn more here. I'm just going to leave this right here for ya!!! Judge Bill Gravell is going down.